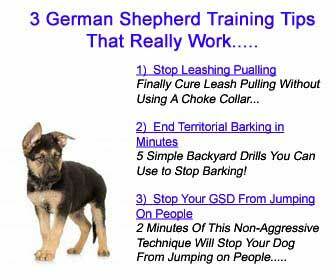 Baer had always been a very headstrong, alpha male, it took a lot of training, which was at times unnerving yet completely exciting - we trained for obedience and protection. Baer could go from being the most loveable, cute, schmoozing puppy into a highly trained attack-dog to protect me. He would watch my every move. He really proved his love , loyalty and dedication , though, when one day he literally dragged me out into our courtyard of our house in Florida for me to find my husband on the floor - he had suffered a heart attack and thanks to my amazing Baer would turn out just fine because he got help fast! I know Baer saved my husband's life - he was just the smartest, most attentive companion I could have ever wished for... I feel my house lost 'it's heartbeat' ever since he died 10 days ago. It feels empty and hollow, but I am thankful to have had him in my life and he will be forever in my heart. Inken, first of all let me take the time to tell you how sorry I am for your loss. We all grieve along with you. It is so very hard to lose a wonderful pet German Shepherd. But your memories will help you through the long grieving process. 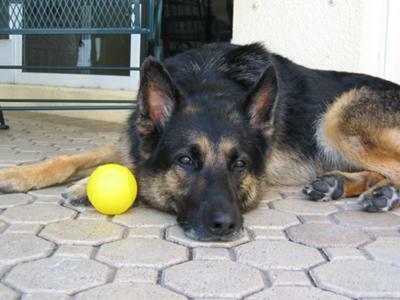 Thank you again for sharing your story about your German Shepherd Dog, Baer, here with us all at Total German Shepherd. Words can not express how humbled I feel right now realizing that people do care - you are all so wonderful! I stood by your bed last night I came to have a peep I could see that you were crying you found it hard to sleep.I whined to you you softly as you brushed away a tear "it's me I haven't left you I'm well I'm fine I'm here. I was close to you at breakfast I watched you pour the tea,you were thinking of the many times your hands reached down to me.I was with you at the store today your arms were getting sore,I longed to take your parcels I wished I could do more. I was with you at my grave today you tend it with such care.I want to reassure you that I'm not lying there.I walked toward the house with you as you fumbled for your key.I gently put my paw on you and smiled and said it's me. You looked so very tired and sank into a chair.I tried so hard to let you know that I was standing there.You sat there very quietly,then smiled I think you knew,in the stillness of that evening that I was very close to you. The day is over I smile and watch you yawning and I say goodnight GOD bless I'll see you in the morning.And when the time is right to cross the brief divide I rush across to greet you and we'll stand side by side. I have so many things to show you there is so much for you to see.Be patient live your journey out then come home to be with me. When I first got this poem it made me cry even more but it also made me feel better too.But everyone grieves differently and I hope you start to feel better soon and just remember you'll see Baer again.He's up in heaven waiting for you. Beautiful, beautiful, beautiful. I'm not sure that was a complete sentence. However it tells all. Your Baer was beautiful. Jake, my 3 year old GSD looks identical to Baer. This makes me think when it is my turn how I'm going to respond. I've lost Stanley, Princess and Molley-all GSD. I know your pain and I can tell you-Baer can NEVER be replaced. Remember this, bodies die but the Spirit lives forever. Baer will always be with you. Love him in Spirit as you loved him when he was here in flesh. Baer feels your pain and will be there for you when the time comes. Keep in mind Baer wasn't yours as Stanley wasn't mine. Baer & My Stanley were on loan from God. We were given an opportunity to prove who and what we really are. You have passed your test and I hope I did mine. Bear misses you as much as you miss him. You were so lucky to have lived part of your life with such a beautiful boy. Baer smiles on you everyday. It's ok to talk to him. He can hear you for his Spirit is about you. His body is gone but his Spirit is with you. I hope you find peace. Your loss is temporary as Baer will await you at Rainbow Bridge. Until then he will be playing with Stanley---MY BOY. I am so sorry! I know that words cannot express the grief and sadness that you are experiencing. I lost my beautiful HoneyBear last March, and the wound is still so fresh that tears spring up whenever I think of her dying. The upside to this is that I am now able to remember the wonderful fun times we had together without feeling the overwhelming grief. I am so sorry for your loss. What an outstanding GSD Baer was. I am including a statement that has comforted friends as well as myself when loosing a beloved furkid. May your memories of the great devotion and love you both shared sustain you during this time.